That’s right. You have to create a new project with at least 3 flowers on it. We would really prefer to see “Cricut” flowers…Let’s see all the beautiful blooms you can create with your bug, cartridges and or files :-) Of course we won’t turn away other blooms, but we want to see all your creativity released! Here is a two page layout sketch for you to follow. 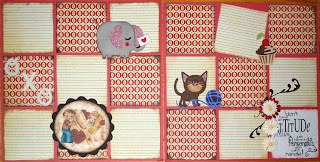 Here is a layout sample Melin made using the layout sketch. Here is a card sketch for you to work with. Here is a card sample Melin made using the card sketch. You ARE NOT obligated to use the sketches to join in the challenge….BUT for those that do…You will be entered into a separate drawing for 5 cutting files or digi stamps of your choice from Page-Kits.com! So now for some DELICIOUSLY Cooked Up inspiration from the Design Team! Please “fly” by Jen’s Blog for details on this adorable card! You need to stop by Ronnie’s Blog for details on this absolutely priceless piece of artwork! 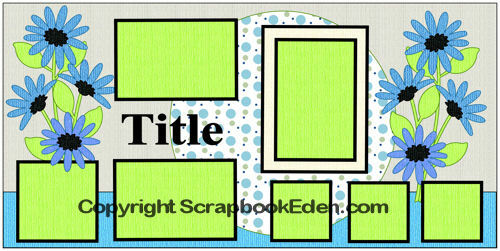 Be sure to head over to Jean’s Blog for more details on this Precious Layout! “Scoot” over to Stacey’s Blog for details on this delicious card! You need to stop over at Becky’s Blog and get the details on this GORGEOUS project! Swing by Melissa’s Blog for more details on this Super Adorable Card. Hop over to Dalis’s Blog for more details on this Rockin’ Hot Card! Head over to Gaby’s Blog for details on this Gorgeous Card! Stop over at Anita’s Blog for more details on this pocket full of sweetness! Swing over to Erika’s Blog for details on this sweet card. Please stop by Madison’s Blog for details on this beautiful card. Head over to Abby’s Blog for more details on this Stinkin’ Cute Card. Hop over to Michelle’s Blog for more details on this blooming cutie! Go to Maria Elena’s Blog for more details on this beautiful card. 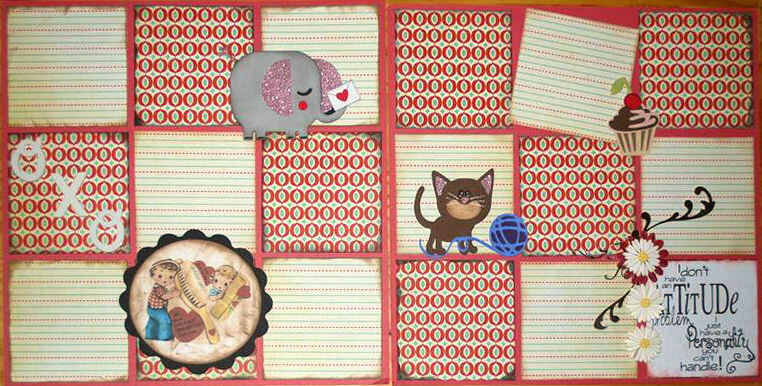 Check out Nicole’s Blog for details on this adorable layout. Visit Beanie's Blog for more details on this ADORABLE layout! Please be sure to head over to Roberta's Blog for details on this sophisticated and beautiful card! 3 Flowers and a Sketch if you dare! Thank you so much for stopping by and playing along with us! Have a wonderfully blessed day! Love all of the projects this week ladies!! Awesome projects, thanks for a wonderful fun challenge! These are such wonderful projects. I really enjoy your challenges. This was a wonderful challenge!! :) I LOVE flowers!! I really tried to follow the sketch, but I ended up cutting back on the pictures... I can't wait to see what everyone else did!! Thanks so much for the opportunity to participate! !